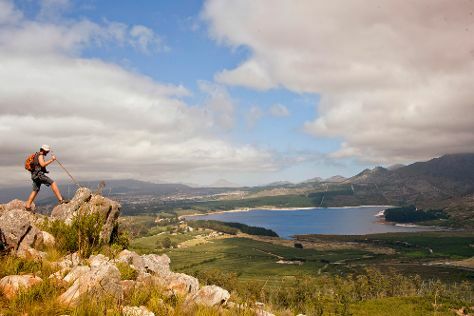 Step out of the city life by going to Boschendal Wine Estate and Shark Diving. You'll find plenty of places to visit near Elgin: Panthera Africa - Big Cat Sanctuary (in Stanford) and Stony Point Penguin Colony (in Betty's Bay). To find traveler tips, photos, other places to visit, and other tourist information, you can read our Elgin online visit planner . If you are flying in from Germany, the closest major airport is Cape Town International Airport. Expect a daytime high around 26°C in October, and nighttime lows around 13°C. Cap off your sightseeing on the 10th (Wed) early enough to travel back home.